When I travel around Ohio, I hear from constituents on a range of issues — from how we should fight terrorism to the rising costs of health care to personal matters with federal agencies, such as the VA or the IRS. But the number one issue I hear about the most is the economy and the need for more good-paying jobs. The same is true with our letters, emails and phone calls. Working families can feel the effects of an economy that has been very slow to recover. But he also stated, “However, it’s important for U.S. manufacturers to have the tools to challenge unfair trade.” He wrote that “it’s essential that provisions to close loopholes in trade laws” are quickly passed through Congress. Mike was referring to a bipartisan provision I sponsored with Sen. Sherrod Brown called the Leveling the Playing Field Act. This legislation improves the way trade enforcement cases crack down on foreign competitors who manipulate the system to build unfair advantages and tilt the playing field away from American workers. Because his email echoed concerns I’ve heard throughout Ohio, Mike allowed me to share his comments with my colleagues by reading it on the Senate floor. His e-mail definitely caught their attention. Wheatland Tube is the nation’s largest producer of steel pipe and tube products with facilities throughout Ohio in Warren, Niles, Cambridge and Brookfield. Mike has seen for himself the tactics foreign companies use to gain an upper hand. 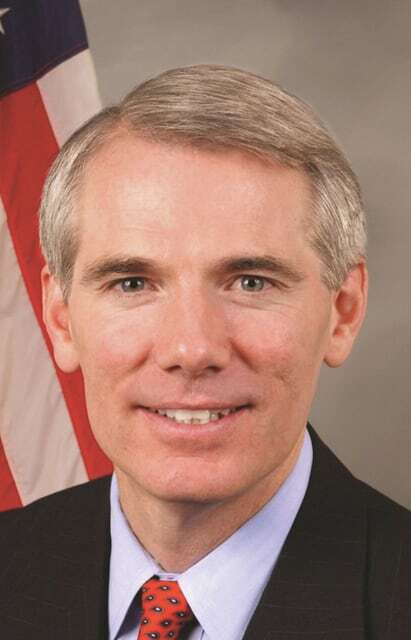 Wheatland and other Ohio companies have benefited from trade-enforcement cases over the years, including several I strongly supported that we won just last year to stem the flow of illegally imported Chinese pipe and tube products. These victories had a great impact on Ohio wage earners. Mike indicated that the plant in Warren with 178 workers would probably not exist today if not for these important trade-enforcement victories. But Mike also knows that the way trade laws work, sometimes by the time a company can get the relief it needs, it is too late to save jobs. We cannot continue to allow this to happen. Fortunately for Mike and thousands of Ohio workers like him, help is finally on the way. Our common-sense measure to strengthen American manufacturers has finally passed both houses of Congress and is now on its way to the president’s desk to be signed into law. This will help ensure that American workers can get help when foreign competitors violate trade laws, instead of the current system that often provides assistance after factories have gone over the brink, and too many jobs are lost. Holding our competitors’ feet to the fire when they break our trade laws is an absolute necessity. Workers all over the Buckeye State have a stake in this issue and I have been proud to stand side by side with pipe and tube manufacturers throughout the Mahoning Valley who are powering America’s energy renaissance. I have also fought for United Steel Workers manufacturing tires in Findlay and paper in Chillicothe, along with hundreds of Ohio workers manufacturing rebar in Marion and Cincinnati and I will continue to do so going forward. I believe in Ohio workers, and I believe they can compete with anyone around the world so long as they have a level playing field. I am proud that our bipartisan reform bill will soon be the law of the land and I’m honored to stand with workers like Mike, and thousands of others who are the backbone of Ohio’s economy.